(Looking for a cooler alternative to the bus or metro? Check out these 6 alternative modes of transport on a hot day!). All of this brings me to my next point: Air-conditioning isn’t something to take for granted in Italy. So while your hotel probably will be air conditioned (although your apartment rental might not be—always ask in advance! ), many small shops, restaurants, and even museums will be au naturel. So be prepared. And don’t miss my post on five sightseeing strategies for beating the heat in Rome. 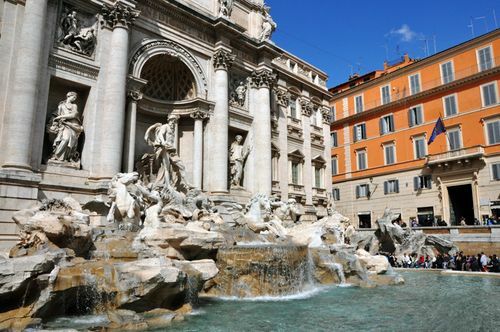 (Stay tuned for upcoming posts on the best pools and beaches in Rome!). Yes, it’s tempting to rock booty shorts or a tiny tank top when it’s 85° in the shade. Try not to. That’s because a major part of sightseeing in Rome in summer… is visiting churches. Far from just holy sites, they’re also some of the city’s finest repositories of art, archaeology, and history. Whether or not you’re planning on visiting a church on a given day, chances are you’ll walk past one that’s a gem. And it would be very silly to be barred from entering because you aren’t dressed appropriately. Of course, it depends on the church. Most don’t have the staff to guard the priceless artwork, never mind throw out miniskirted tourists. Still, covering up is respectful. And, yes: It’s true that the guards at St. Peter’s Basilica flat-out won’t let you in if your shoulders and knees aren’t covered. If you still have to go bare, then at least throw a couple of shawls or wraps in your bag so you can cover up if need be. Put away your wallet, and step away from the guy hawking overpriced water bottles at the vendor’s stand. 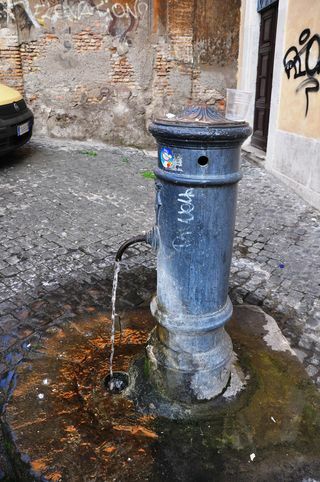 There are 2,500 little nasoni, or endlessly-running water fountains, around the city of Rome. As I’ve written before, the water is cold, clean, and, yes, perfectly safe to drink. So carry around a water bottle with you and just fill it up at the fountains, for free. Walking around Rome’s historic center, and want to know where the nearest fountain is? Good news: There’s an app for that. The heat is one thing. The sun is another. And it won’t be kind to skin that’s usually office- or home-bound. 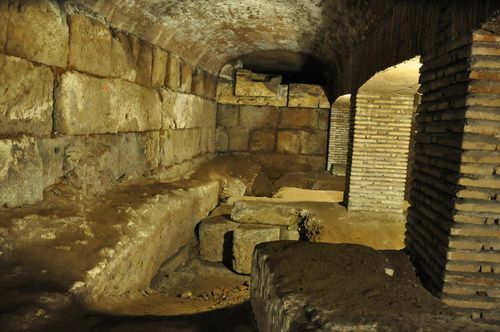 Be especially sun-cautious if you’re planning to head to one of Rome’s shadeless sights. 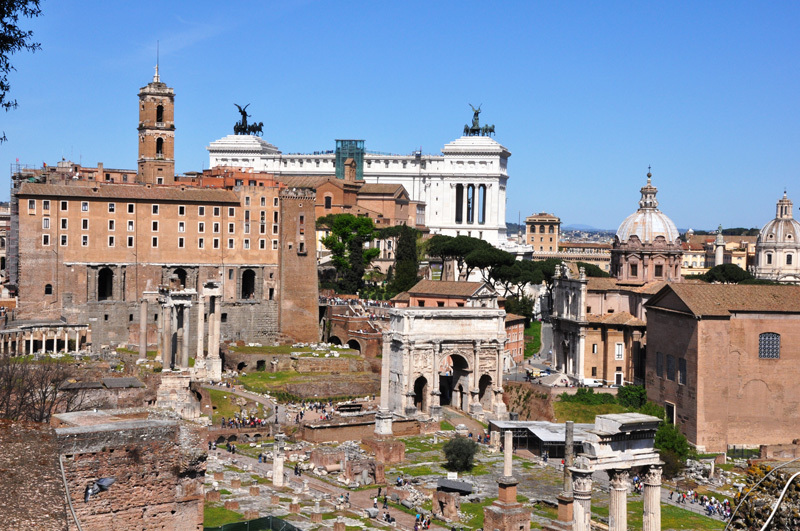 The first one: the Roman forum. Yeah, all these buildings had roofs once. But not anymore. Make sure to slather on the SPF even more if you’re taking a tour: You might have to stand in a certain (and possibly shadeless) spot for a while, depending on the guide’s sensitivity to your sun needs interest in a given sight. 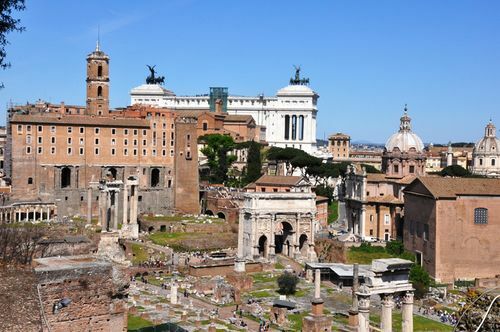 (And if you have to get out of the sun, duck into the Curia or Temple of Romulus, or climb the tree-lined Palatine hill). Another shadeless spot is St. Peter’s Square, if you’re standing in the line to get into the basilica. Bernini’s colonnade is fantastic, but it doesn’t do much for the poor souls forced to stand outside of its shade, in the middle of the square, waiting to get into the church. So, again: Either prepare with sunglasses and lots of SPF, or figure out how to skip that line. And stay tuned for more about that—and why it’s something to think about even more in the summer months—in an upcoming post! Enough said. 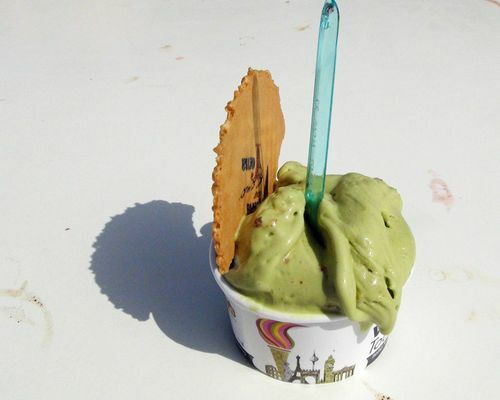 (And don’t miss my post on where to find the best gelato in Rome). I bought your book. Thanks! I am traveling with my 15 yrs old soccer star son. 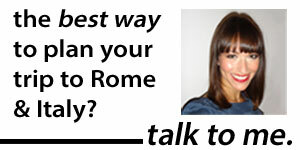 We will be in Rome for 3 days before going on your dubrovnik. Any recommendations for my sports enthusiast? Hi Shawn, apologies for the (very!) late reply. If you haven’t made the trip yet, then your soccer star son might, of course, love to see a soccer game, depending on the time of year you’ll be there! More information here: https://www.revealedrome.com/2013/04/rome-italy-soccer-game.html Thanks so much for stopping by! Would a small umbrella be acceptable? Does it chilly in the evening? I will be visiting last week of July. Rome. I’m glad I found your webpage. I’m going to Rome on September 1-8 2017. I’ve read your recommendations about not taking a cap from Campione, and I’m horrified. But I have a problem, since me and my family are flying from Denmark to Rome at the 8th of July, arriving at 23.00 and our hotel is not at the center of Rome, but at Christoffore Colombo well outside of Rome. How do we get to our hotel if not by cap and what will the cost be? Hi Christina, I’d strongly recommend booking a private transfer in advance instead. You can easily do this online with a number of reputable companies (just check their most recent reviews on Tripadvisor). Don’t rely on the taxis. Good luck!